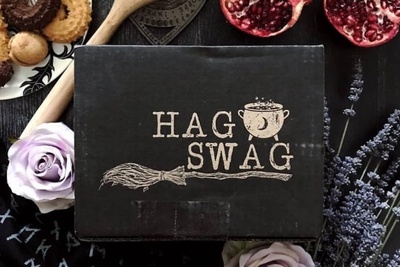 Enter your email address below to receive a notification when Hag Swag starts accepting new sign-ups! 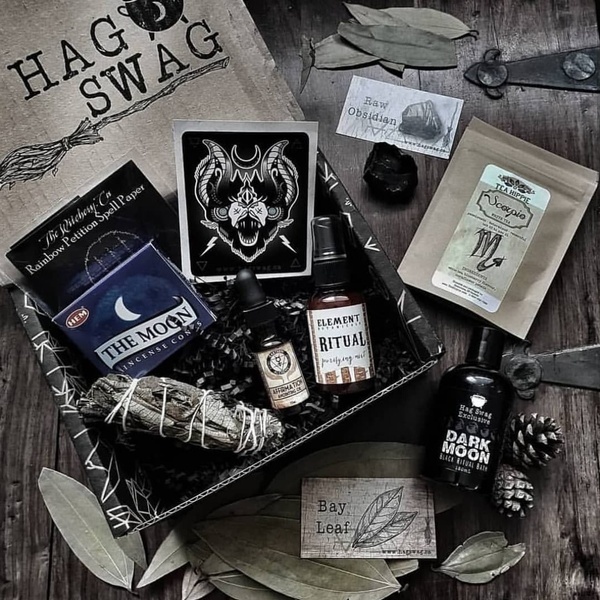 Enter your email address below to receive a notification when Hag Swag is accepting new sign-ups again. 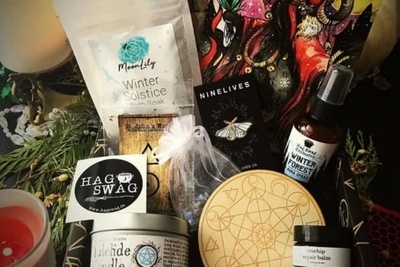 Curated monthly box with artisan offerings. 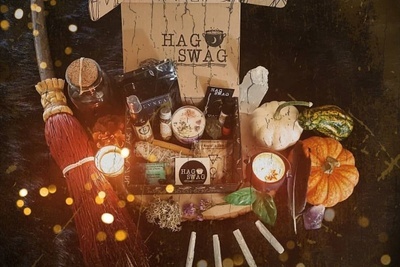 Monthly subscription box for the hags, weirdos and bewitched. Each month will contain 7-10 items valued at a minimum of $100! 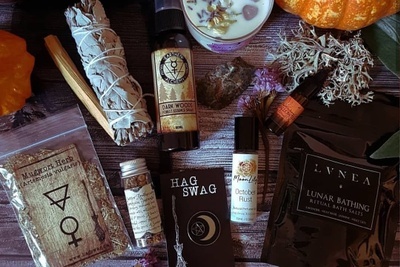 These items include self care, new age, occult, accessories and more. 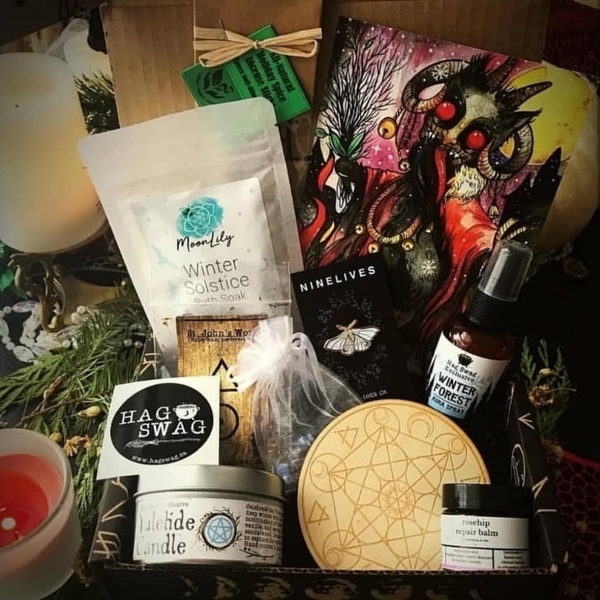 Shipped on the 1-5th of each month, you can purchase a one time box or subscribe and save. 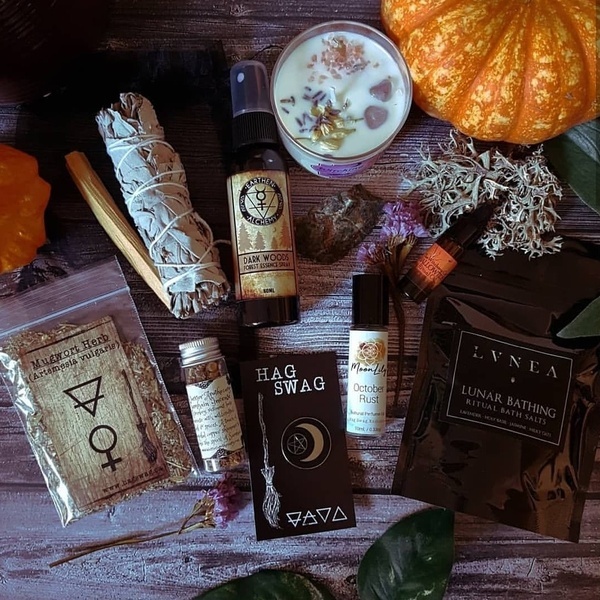 Okay so I’ve tried out 3 or so witchy subscription boxes and this is the best by far. I love all of the stuff that they gave us and the quality of the items were amazing. I was hesitant on getting it because it’s from out of country but it arrived less then a week after my other boxes.